The Learning Zone summer hours will come to a close on August 15th. We are looking forward to 2014 fall semester, welcoming new and returning students to our space. 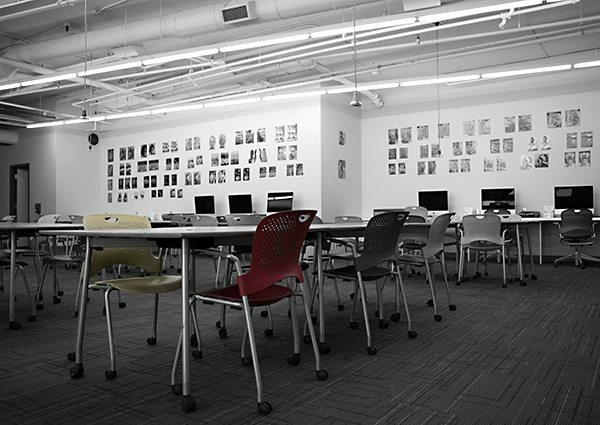 Learning Zone is an collaborative engaging space open to students and faculty. It includes several collections — Art & Design Annuals, Visionnaire periodical collection, OCAD Zine Library and our newest addition, the OCAD Seed Library. Our space supports many of the student groups in hosting XPACE: External Space, a membership based artist-run centre supported by OCAD Student Union, Plate Station, reusable dishware exchange program and sustainable gardening initiatives by grOCAD. Many on-going events take place throughout the school year including Money Mondays – financial planning available to students and grads presented by CREATiveFund$, OCAD U’s Financial Skills Program, student exhibitions and much more. See you in September, stay tuned for the LZ fall hours! 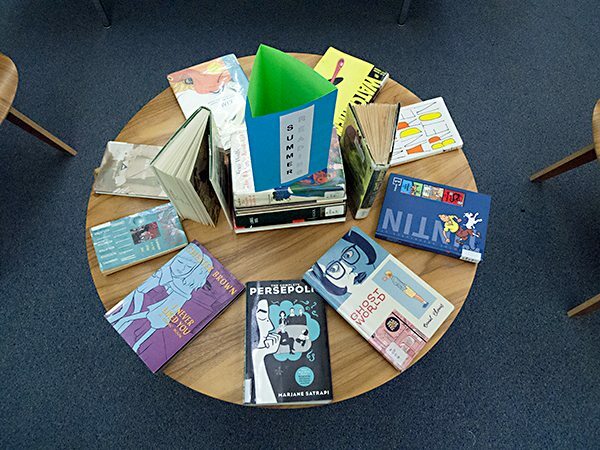 Visit the OCAD U Library this summer and check-out their collection of popular fiction and graphic novels to add to your summer reading list. Browse the Summer Reading display or the Fiction, Poetry and Graphic novel section — you may come away with the perfect title to read before the holidays end. Here is a handy list of summer titles – enjoy! Join the Learning Zone August 12th to celebrate the official launch of the OCAD Seed Library Branch. 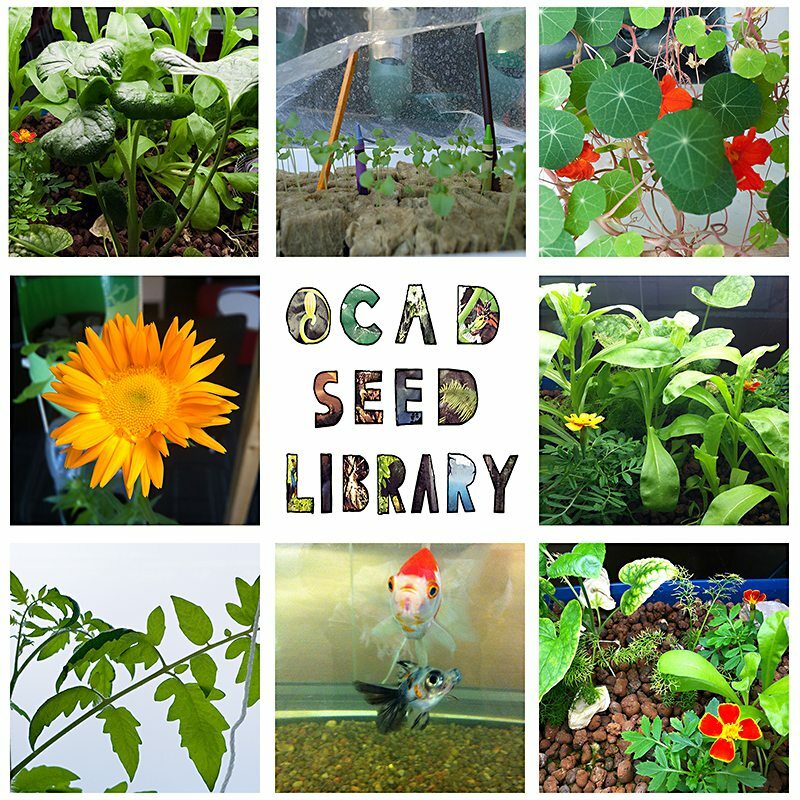 The OCAD Seed Library has partnered with the Toronto Seed Library (TSL) to make available seeds to grow in your garden, on the balcony, windowsill or any place, for the creative or industrious gardener. Drop in between 1 – 4 pm to learn what the seed library is about, how to use it and how your contributions will help to sustain a viable future in food security and seed diversity, or come by to browse our seed collection and information on how to harvest and save seeds. Come and grow with us at the Learning Zone.